My email box has been bombarded today with the following article, and though I disagree with Alex Jones on whether the dissenters or the militia came first, you may want to persuse the following article and videos and decide for yourself whether identifying yourself with the Founding Fathers and the Constitution can get you into massive amounts of trouble with the “police state” that we are now forced to live in. As far as I have been able to tell, all those “Tea Parties” and the “9.12 Project” are missing a key element; an actual militia group for all those diehard constitutional, law-abiding, tax paying, american citizens to be involved in. Do you think the “government” still doesn’t get it? A secret report distributed by the Missouri Information Analysis Center lists Ron Paul supporters, libertarians, people who display bumper stickers, people who own gold, or even people who fly a U.S. flag and equates them with radical race hate groups and terrorists. This is merely the latest example in an alarming trend which confirms that law enforcement across the country is being trained that American citizens are a dangerous enemy. A copy of the MIAC report was sent to us by two Missouri police officers who were concerned by its content. Perhaps due to the outlandish and shocking nature of the document, some people are still having difficulty believing it is real. Unfortunately, we have confirmed that it’s 100 per cent genuine. We spoke with Capt Hull at the Missouri State Highway Patrol who told us that the MIAC Strategic Report is a part “normal operation for officers” to receive these periodic reports for “safety purposes and to track trends or changes”. Hull added that the report was for the purposes of training their officers. Anyone still in doubt as to the veracity of the document can call the MIAC toll free at 866-362-6422 and confirm it for themselves. We also spoke to Lt. John Hotz who, along with Capt Hull, declined to appear on The Alex Jones Show to talk about the document, but had no qualms about admitting that it was genuine and had been handed out to Missouri police officers. The MIAC report does not concentrate on Muslim terrorists, but rather on the so-called “militia movement” and conflates it with supporters of Ron Paul, Chuck Baldwin, Bob Barr, the so-called patriot movement and other political activist organizations opposed to the North American Union and the New World Order. 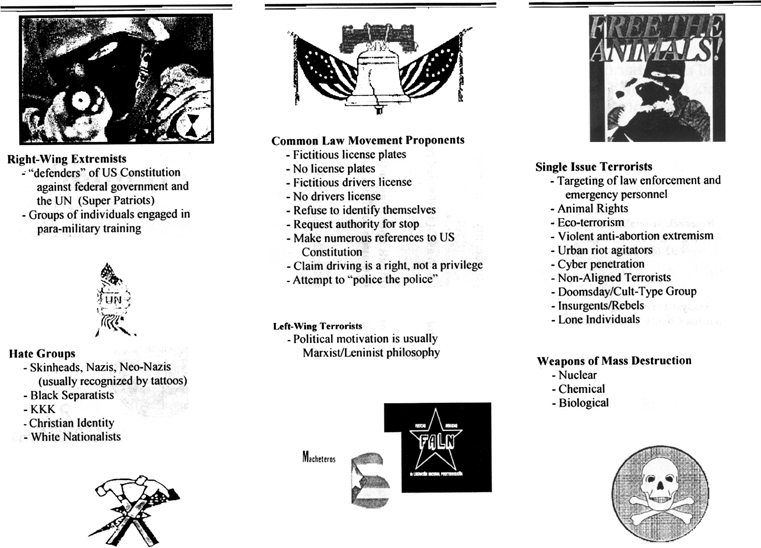 Police are educated in the document that people are are anti-abortion, own gold, display an assortment of U.S. flags, or even those that talk about the film Zeitgeist, view the police as their “enemy” and conflates them with domestic terrorists like Oklahoma City bomber Timothy McVeigh, Olympic bomber Eric Rudolph and other domestic militia groups who have been charged with plotting terrorist attacks. The demonization of militia groups is something that we have come to expect, despite the fact that the very same constitution police officers swear an oath to defend outlines the need for “a well regulated Militia, being necessary to the security of a free State”. George Washington himself was a member of a militia. However, the conflation of banal sectors of society such as people who own gold, fly flags, display bumper stickers or who support mainstream political candidates such as Bob Barr, and the guilt-by-association smear that they are likely to be dangerous and potential terrorists, is a staggering alarm bell which indicates police are being trained that ordinary Americans, not radicalized Mexican race hate groups or Al-Qaeda suicide bomber cells, are the number one domestic threat in the war on terror. In 2004, Kelly Rushing was charged with making “terroristic threats” after he handed out Alex Jones videos and recordings of a Congressman Ron Paul speech on C-Span to Lyon County, Kentucky officials and Kentucky State Trooper Lewis Dobbs. A jury later ruled in favor of Rushing but he continues to be harassed by authorities and local law enforcement. 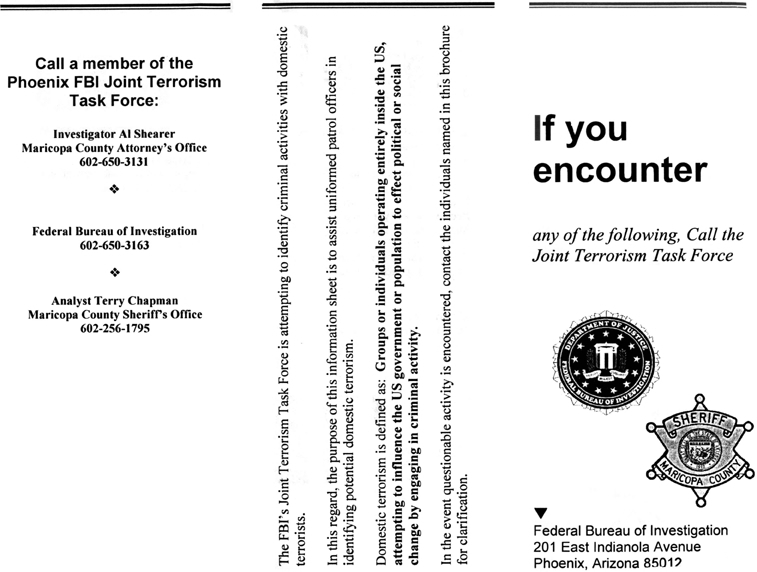 In October 2007, a Michigan man was harassed, handcuffed, assaulted, branded “unpatriotic” and subjected to an unconstitutional search of his vehicle during which drugs were allegedly planted, before being ticketed by a police officer for the apparent crime of freely distributing DVD’s about 9/11 truth. Last August, a Las Vegas couple were stopped by police, detained and searched as cops demanded to know if there was anything illegal inside the vehicle. When the couple asked why they had been stopped, the police officer pointed at “Infowars” and “Ron Paul” bumper stickers on their car. To have secret police, regular troopers and federal authorities target people who discuss the very document that they swore an oath to uphold and protect is a chilling prospect and rivals anything that was a pre-cursor to Nazi Germany or Stalinist Russia. The precedent of treating a knowledge of the U.S. constitution and the bill of rights as suspicious and possibly a sign of terrorism can only be linked to careful preparations for martial law which are now public. A shocking KSLA news report last summer confirmed the story we first broke in 2006, that Clergy Response Teams are being trained by the federal government to “quell dissent” and pacify citizens to obey the government in the event of a declaration of martial law. In May 2006, we exposed the existence of a nationwide FEMA program which is training tens of thousands of Pastors and other religious representatives to become secret police enforcers who teach their congregations to “obey the government” in preparation for the implementation of martial law, property and firearm seizures, mass vaccination programs and forced relocation. 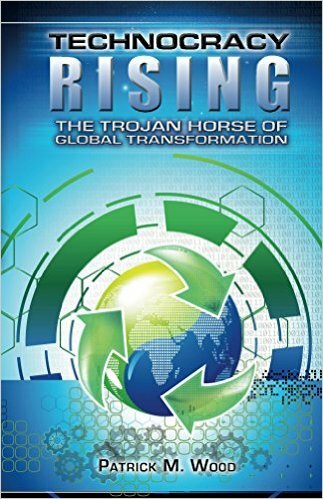 A whistleblower who was secretly enrolled into the program told us that the feds were clandestinely recruiting religious leaders to help implement Homeland Security directives in anticipation of a potential bio-terrorist attack, any natural disaster or a nationally declared emergency. The first directive was for Pastors to preach to their congregations Romans 13, the often taken out of context bible passage that was used by Hitler to hoodwink Christians into supporting him, in order to teach them to “obey the government” when martial law is declared. It was related to the Pastors that quarantines, martial law and forced relocation were a problem for state authorities when enforcing federal mandates due to the “cowboy mentality” of citizens standing up for their property and second amendment rights as well as farmers defending their crops and livestock from seizure. Pastors were told that they would be backed up by law enforcement in controlling uncooperative individuals and that they would even lead SWAT teams in attempting to quell resistance. The chilling preparations for martial law and the targeting of Americans who merely talk about the U.S. constitution, own gold, hold pro-life political viewpoints, watch and discuss internet documentaries like Zeitgeist or support mainstream political candidates such as Ron Paul or Bob Barr should act as a wake-up call and prompt more people in different levels of authority throughout religious and educational establishments to go public and expose similar examples of this unfolding tyranny. I was going to do a post on this story, but I never got around to it. This government doesn’t get anything, my friend, unless there is a string attached to a lot of money for their pockets on the other end. These goons who think an organization that is based on the Constitution of the United States apparently slept through citizenship class in the lower grades and Civics in the upper grades. They don’t seem to know what the Constitution really is. This post is very disturbing, Diamond. We’ve all heard of police brutalty, but I chose to think it was the exception, not the rule. But I guess in these days of ACORN and community organizing we could be in for a lot of trouble if Obama gts by with forming his Civilian Police Force. These actions in this post will be small potatoes. You know, I often wear a t-shirt that has “Waverly Militia” on the front, but as far as I know there is no actual militia. Waverly, Alabama, has a population of 225 give or take a few. Scary, huh? I also quite often fly the Gadsden Flag on my pole alternately with the Stars and Bars, plus my U.S. flag on my porch is upside down, & I don’t fly it on the pole except on days to honor veterans. It will remain upside down until the criminal punk in chief is out of the White House. I guess I might be in deep doodoo! Oh well! Lee, Genie, and other friends….I did not think this was bull when I read it because I have seen up close police brutality and it isn’t isolated incidents. The police really do think we are all criminals and they just have not caught us yet. As for this being real – I would have to say yes, considering the “folks” that have stopped by to see this post. Also, when you get a chance to watch GB’s 9.12 project videos and you see the clip of Chuck Norris in TX – notice all the police in the background. I don’t think all the police are on the wrong side of this – just the ones in the more liberal states. Just MHO. I agree Diamond, not all police are on this side, but there are enough to worry about. In the last few years, more and more of the “good cops” have been retiring or changing careers to get away from the militarization of the force. More and more ex-military are becoming cops, and they are still caught in a military mode. I have noticed that in my area it seems like the majority of the cops are slightly overweight and shaved bald. I mean, it takes a certain kind of mindset to want to look bad-assed by shaving your head. I wouldn’t trust them in an alley. I think I garbled my comment a little before. I meant to say that anyone who thinks an organization dedicated to the Constitution is suspect, is suspect themselves. Next to the Holy Bible, I think the Constitution is the most valuable piece of print in my library. I can remember when it was to the police that you turned when you needed help. This country is being turned into a version of Germany in the early 1930’s. And he’s only been in office a couple of months. But then, we all know that much of this began under the last administration, and that Obama is just continuing a planned project. I hope you did not misconstrue my deep doodoo comment as me thinking this is bull. Nothing could be further from the truth. My lame attempt at sarcasm, which doesn’t always translate well in the written word. This has probably been going on a lot longer than any of us thinks.